While in SF for my about.me internship I attended a happy hour at LaunchRock HQ where I was told I should check out Startup Weekend. 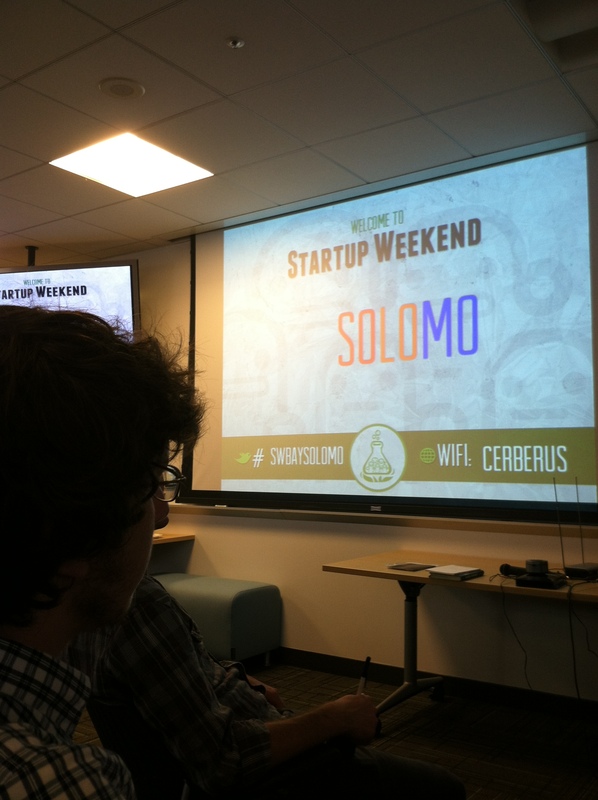 Thank goodness they told me, because Startup Weekend is basically the coolest thing ever. Startup Weekend invites coders/designers/marketers to come together for a weekend with the goal of starting up a product in a 54 hour time period. Anyone is welcome to pitch their startup idea and receive feedback from their peers. Teams organically form around the top ideas (as determined by popular vote) and then it’s a 54 hour frenzy of business model creation, coding, designing, and market validation. The weekends culminate with presentations in front of local entrepreneurial leaders for an opportunity for critical feedback. I wore some of my about.me swag on the second day of the event and kept getting mad props for our product. 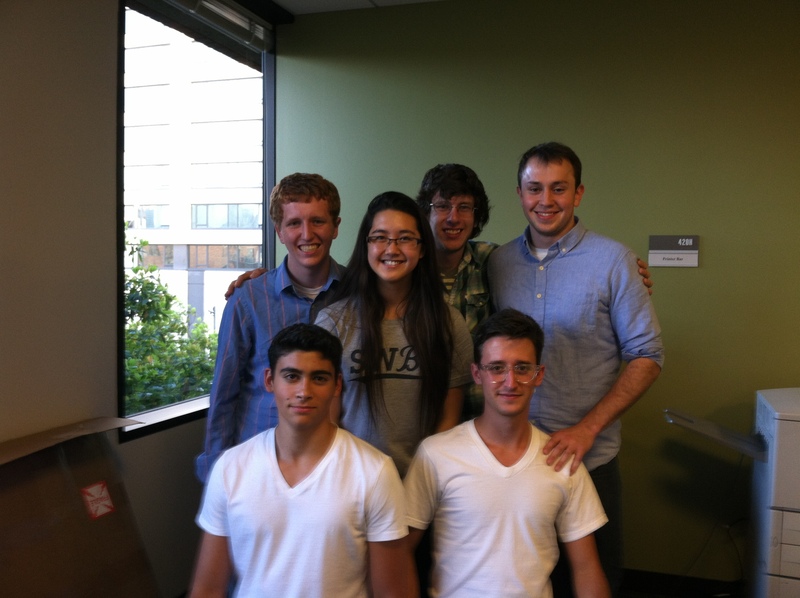 It’s been great working with a product that a lot of people use and love and awesome to meet users in person. Basically, if you have an idea for the next big thing but don’t know how to make it happen – this is where you can make it happen in one weekend! I pitched, got a team, and took third place with these awesome people!